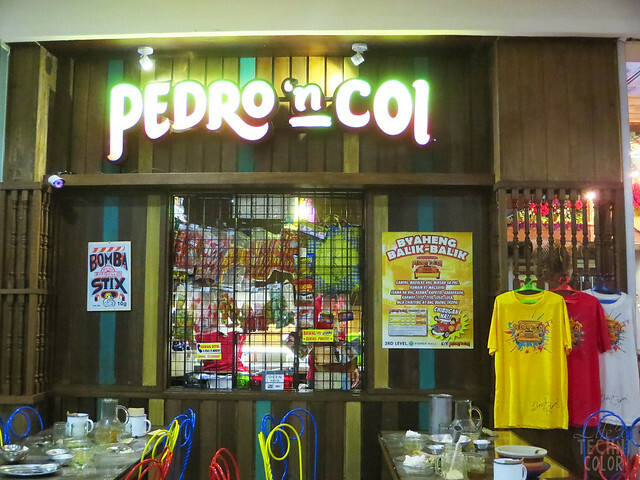 If you're looking for a new place to dine at Fisher Mall, try Pedro 'N Coi, a restaurant that offers pinoy pop chibog at a reasonable price. Check out the menu! You'll know that they really gave thought to the names of each and every item on it. 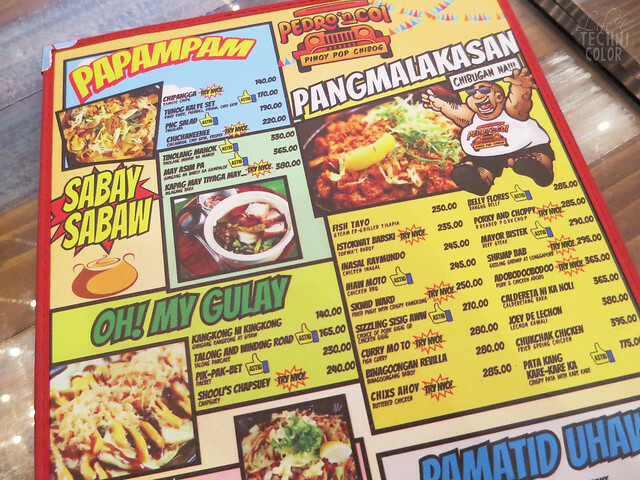 My favorites are Mayor Bistek, Joey De Lechon, Chix Ahoy, and Inasal Raymundo. Haha! 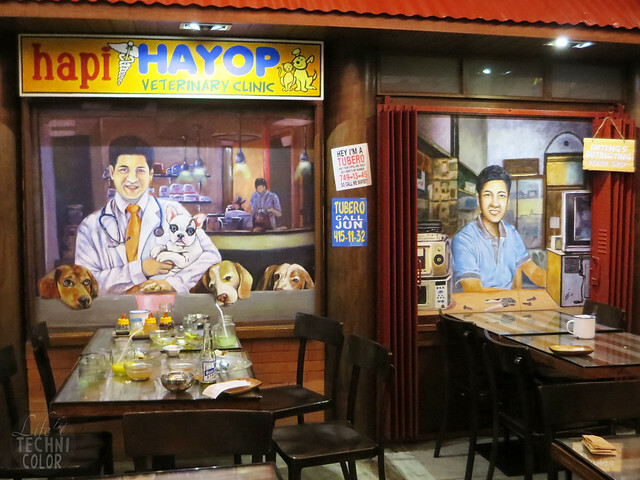 Here, you can choose to either eat in front of a sari-sari store.. 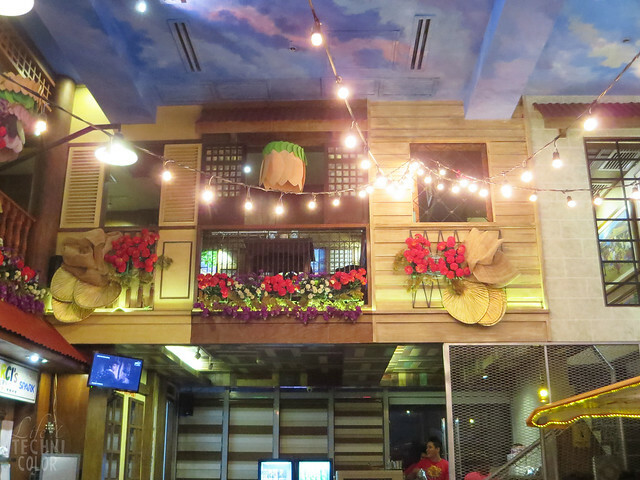 The walls are painted with very Filipino themes. 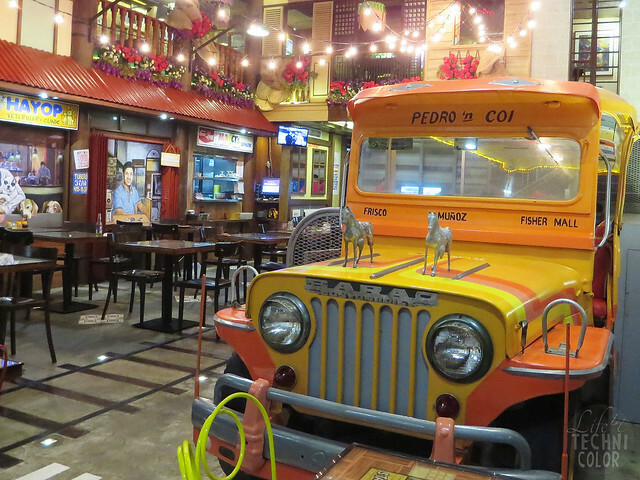 You'll surely have fun looking around and taking photos, because every side tells a story. 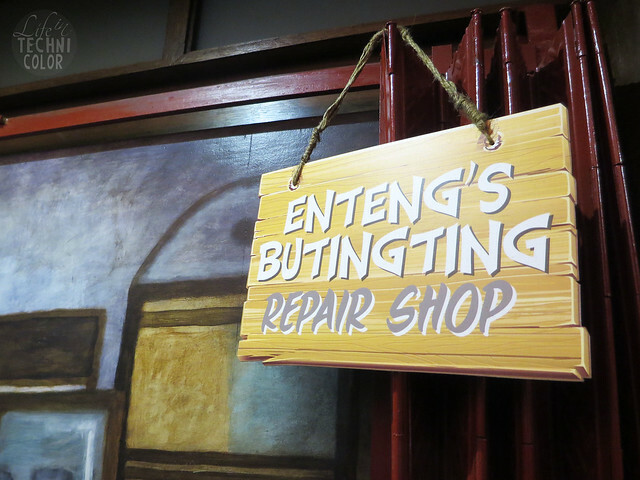 Here's Enteng's Butingting Repair shop, and beside it, the Hapi Hayop Veterinary Clinic. 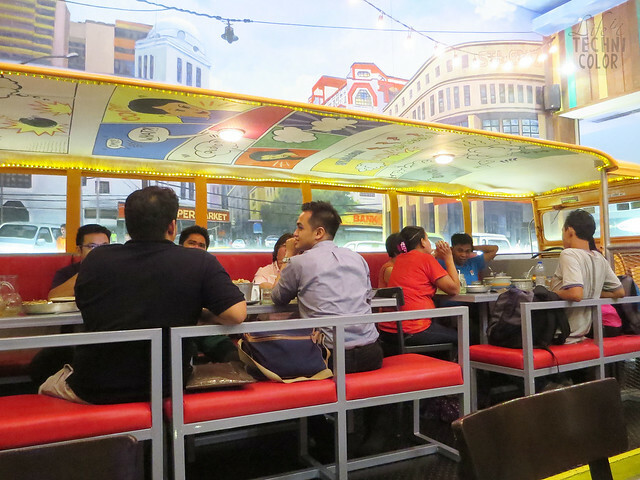 The restaurant has two floors; the first floor has more of a side-street-food-stall-slash-carinderia feel, while the second floor is designed like a kubo. 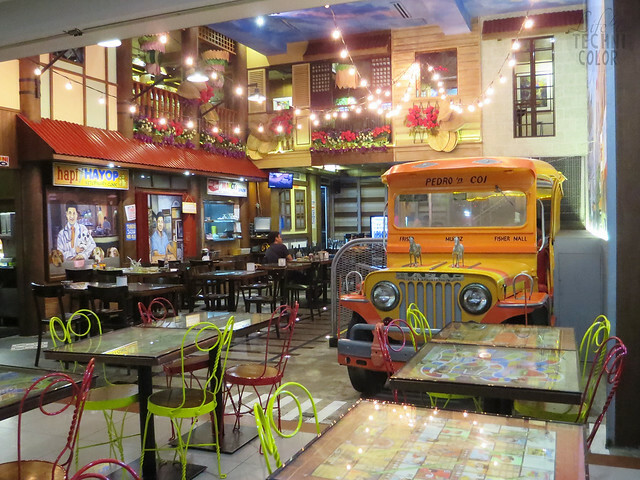 There's definitely a lot to keep you entertained while you wait for your food to arrive. 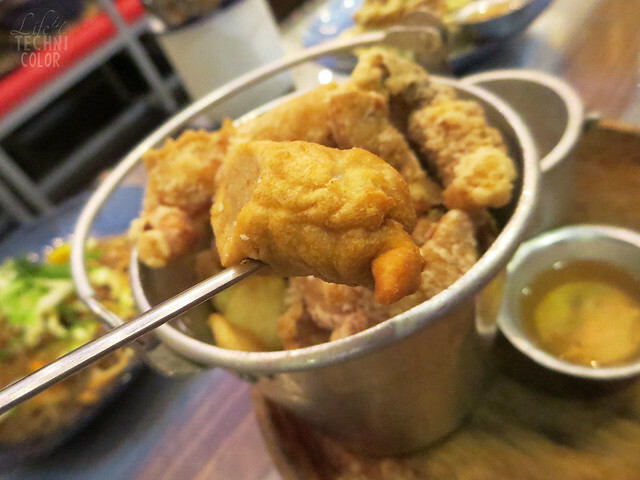 Gaah, this bucket of street eats is not for the weak hearted. 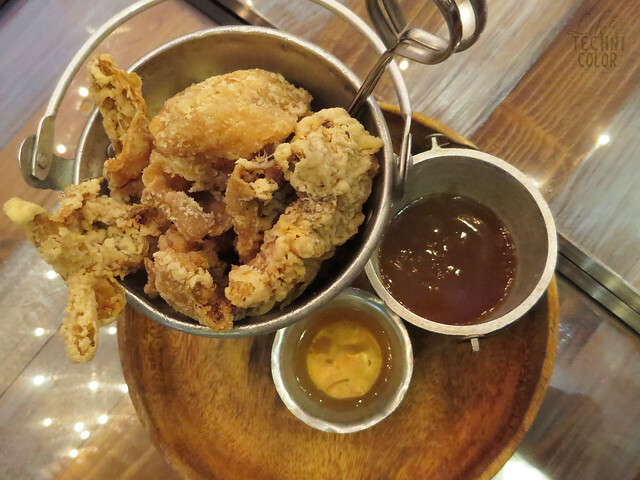 Just look at all that chicken skin!! 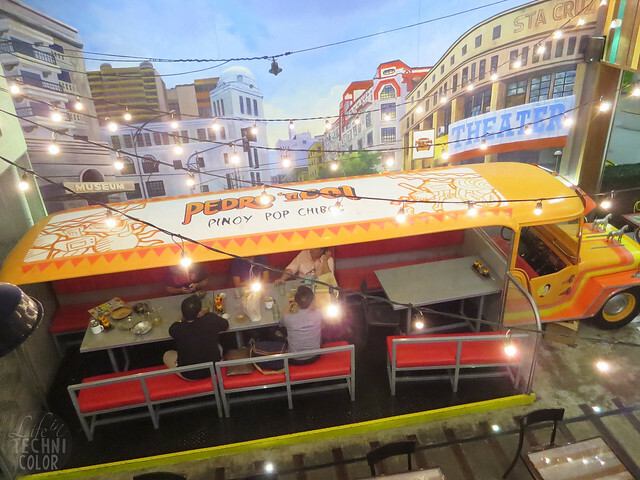 You might think that P170 is too high a price to be shelling out for fishball and kwek kwek, but what you should realize is that you're not just paying for the food, but the experience as well. P.S. 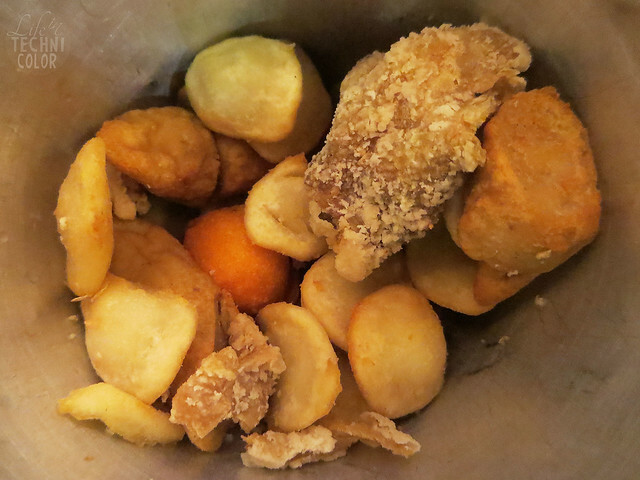 the kikiam and fishball were actually really good. 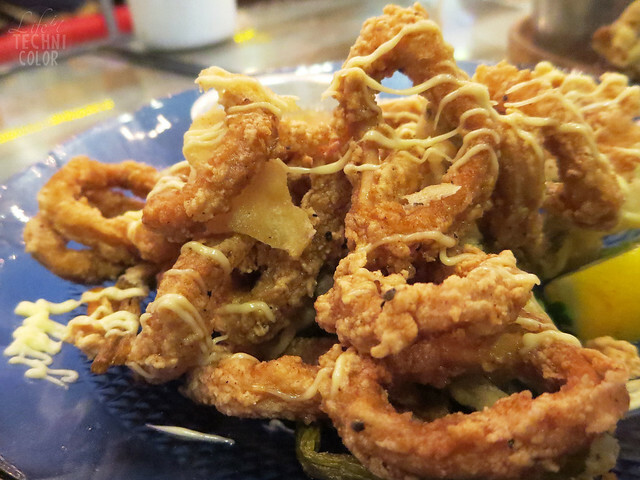 Note: we're not huge fans of chicken skin in general so we didn't try it. Sorry! 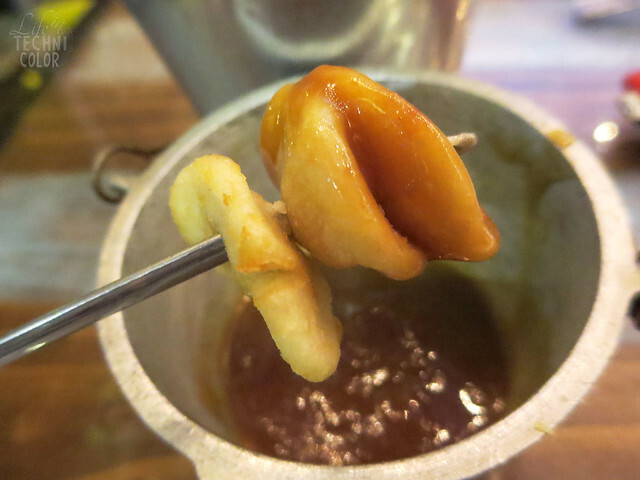 Just like real street food, you eat this tusok tusok style, and dip it in either the sweet or spicy sauce. I didn't expect much from this, but it was surprisingly flavorful! 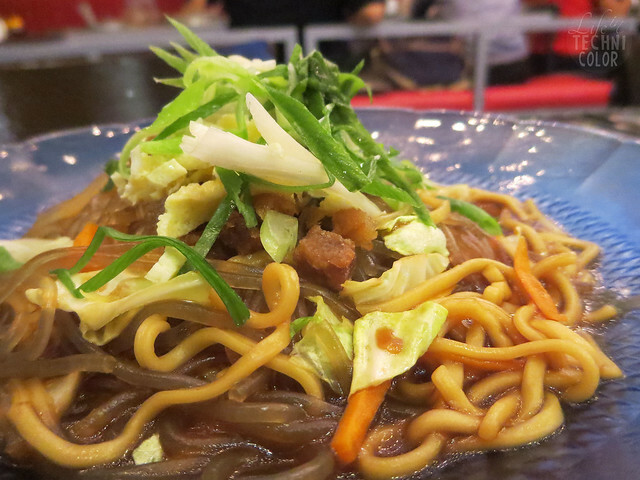 Unlike the usual pancit offerings, this one is super saucy! 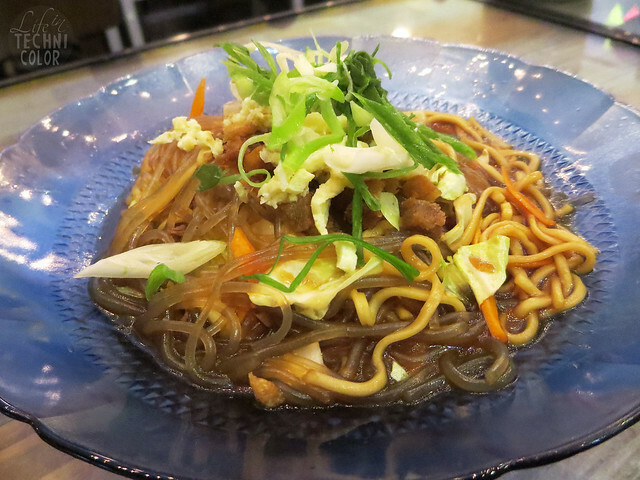 This was my favorite out of the three dishes we ordered! 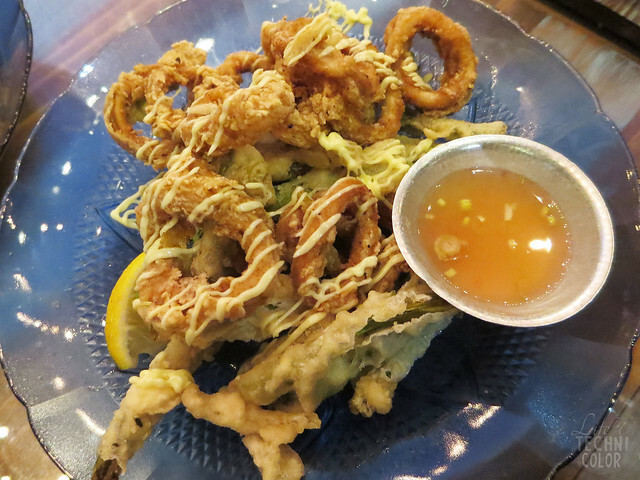 Their special vinegar complemented both the squid and kangkong well. Also, it was my first time eating crispy kangkong and I really enjoyed it. 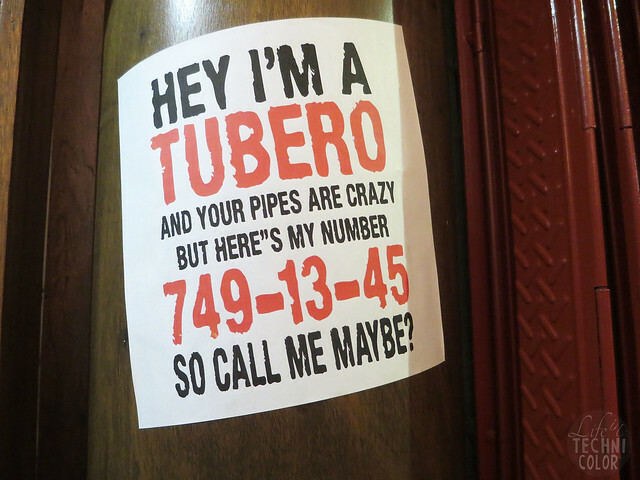 "Hey, I'm a tubero, and your pipes are crazy, but here's my number, so call me maybe"
Pedro 'N Coi is located at the 3rd floor of Fisher Mall, Quezon Avenue - you can't miss it! 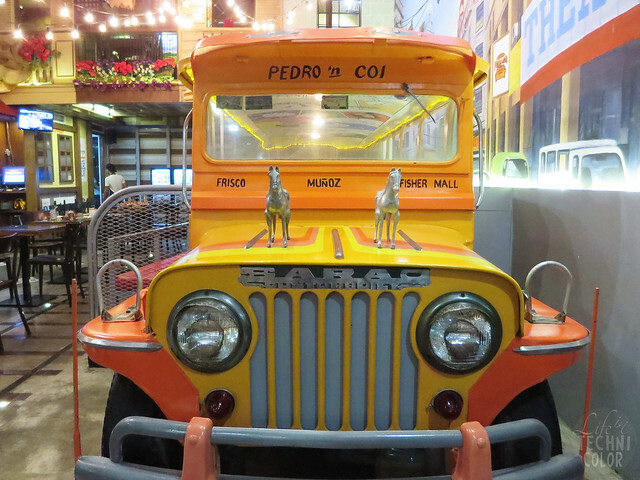 For reservations, which I strongly advise, call (02) 931-5693.